Outlander season 2: Claire's PTSD and war flashbacks explained. As our favorite Scottish highlanders prepare for their battle against the British, Claire starts having flashbacks to World War II. Given how little she’s even talked about her experience as a combat nurse, you might wonder why it’s weighing upon her now—especially given that in the books, she wasn’t suffering from post-traumatic stress disorder. (Or shell shock, as she might’ve called it). 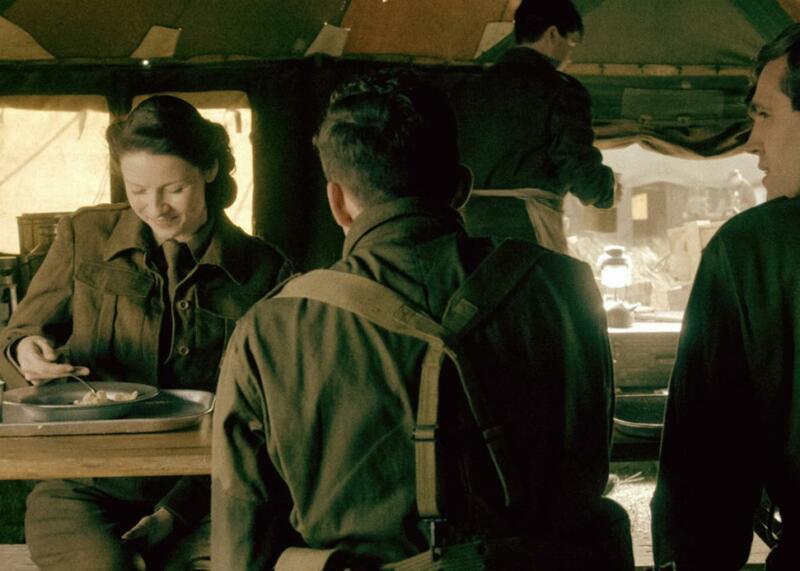 Claire flashes back to a time where she did get to know two soldiers a bit before they died. She meets Corporal Grant and Private Lucas in the mess hall, where she picks up her trademark curse—“Jesus H. Roosevelt Christ!”—and tries to explain blood sausage/black pudding. Balfe enjoyed playing a younger Claire, who wasn’t quite innocent, having already experienced some of the war, but was still lighter than the Claire we know now. But then she gives them a ride, and her jeep is shot down—a memory triggered by the gunfire at the Scottish shooting range. ”Something small can trigger a massive memory,” Roberts said. Roberts wanted to show that even though Claire herself was not a soldier, all the people who support the troops—from trauma and combat medical staff to chaplains—can be affected by the war, too. “Picking up the pieces, it can be just as traumatic as it is to go and fight,” he said.